Exploiting quantum mechanics to observe, manipulate, and control the behavior of particles and energy at atomic and subatomic scales, resulting in next-generation technologies for sensing, computing, modeling, and communicating. Many of today's technologies -- lasers, computers, GPS and LEDs among them -- rely on the interaction of matter and energy at extremely small and discrete dimensions. 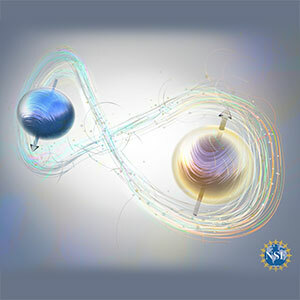 By exploiting interactions of these quantum systems, next-generation technologies for sensing, computing, modeling and communicating will be more accurate and efficient. To reach these capabilities, researchers need understanding of quantum mechanics to observe, manipulate and control the behavior of particles and energy at dimensions at least a million times smaller than the width of a human hair. Research into quantum materials is essential for preparing future scientists to implement the discoveries of the next quantum revolution into technologies that will benefit the average consumer. There will be strong connections to industry, federal agencies and international partners.